Burning Man 2019 theme held August 25 to September 2, 2018 was Metamorphoses. That time of year has arrived when Burning Man announces its theme for the coming year, and burners from all over the world prepare to make the trek to Black Rock City, Nevada. This year, this pilgrimage will be especially self-conscious of its pseudo-ritualistic significance because in 2019 the theme of the festival of raw humanity is Metamorphoses. If you plan to travel out to be a burningman in 2019, you can expect to find a temple constructed at the epicenter of all the events. Don’t think that the organizers are trying to say that they have created some kind of religious function here. They state that what they are concerned with, as far as ritual goes, is the “play” that is inherently part of it. The concern here is with the physical release brought about by ritual. In the tradition of Burning Man, the center effigy (usually the wooden statue of a man) is torched at the end of the event every year. The Man that stands at the middle, and its burning, is an example of how the burners in attendance refuse to be subjects to The Man that requires individuals to get jobs, make money, and be “contributing members of society.” This year, when the temple goes up in flames, will this be representative of a refusal to categorize faith within the bounds of organized religion? Even if this is the message in the final burning, the organizers are also recognizing the ritualistic core of the festival, and they are showing due respect to this tradition of ritual in the history of humanity. Lots of seasoned burners are upset about the center defining piece of architecture being a temple rather than the usual effigy of a man. It sounds like the tradition is getting close to religious zealotry. By Changing this fixed ritual, it is allowing the concentration to return to the physical experience so important to the organizers. 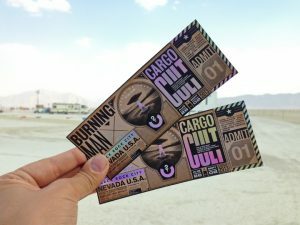 Regardless of your history or understanding of Burning Man, Radical Ritual should be a good year worthy of setting a travel date for. Mark your calendars for August 25 – September 2, 2018 to enter the embark on a journey that will almost certainly be life changing. There are few other chances to be immersed in anarchic ritual.